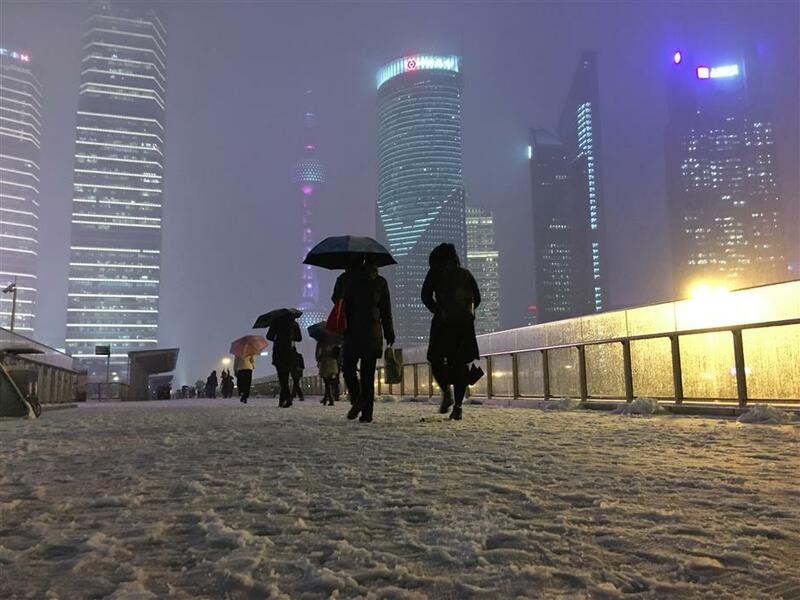 The first snow of the Chinese Lunar New Year envelops the Lujiazui skywalk in the Pudong New Area early Friday morning. The first snow of the Chinese Lunar New Year dusts most parts of the city on Friday morning. 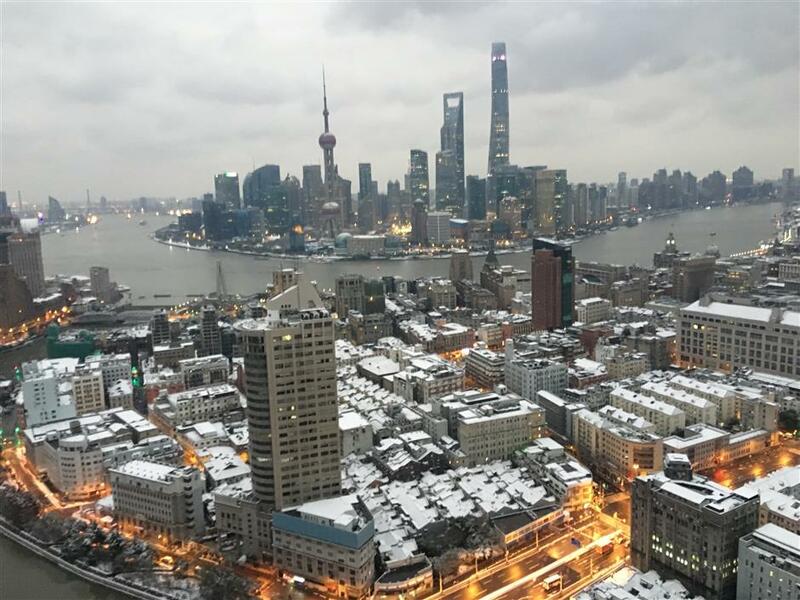 The first snow of the Chinese Lunar New Year hit Shanghai on Friday morning, disrupting some flights and making roads slippery. Sleet began falling around the city in the early morning and later developed into blizzards in northern areas. Temperatures hit a low of zero degrees Celcius. 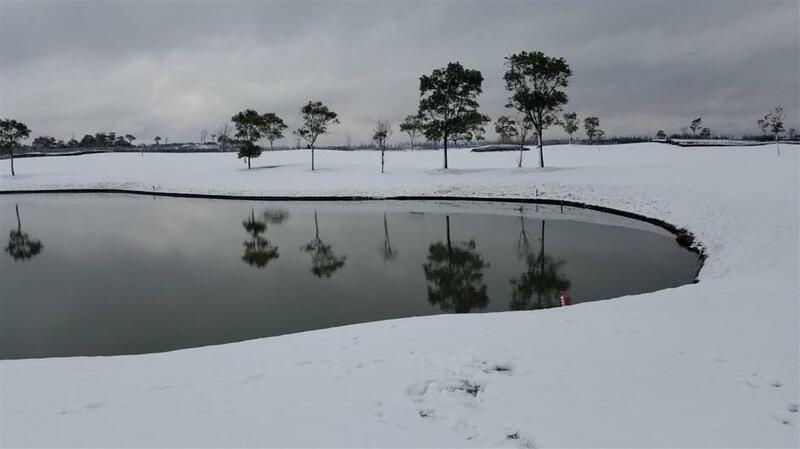 The Shanghai Meteorological Bureau issued a blue alert for heavy snow, the lowest level in a four-tier warning system, for Chongming Island after accumulated snow reached 8 centimeters in thickness. Snow accumulates in Dongtan area of Chongming Island. An alert for icy roads was also issued at 4:50am as heavy snow blanketed most parts of the city. Twenty flights were delayed at Pudong International Airport and a flight was canceled on Friday morning. 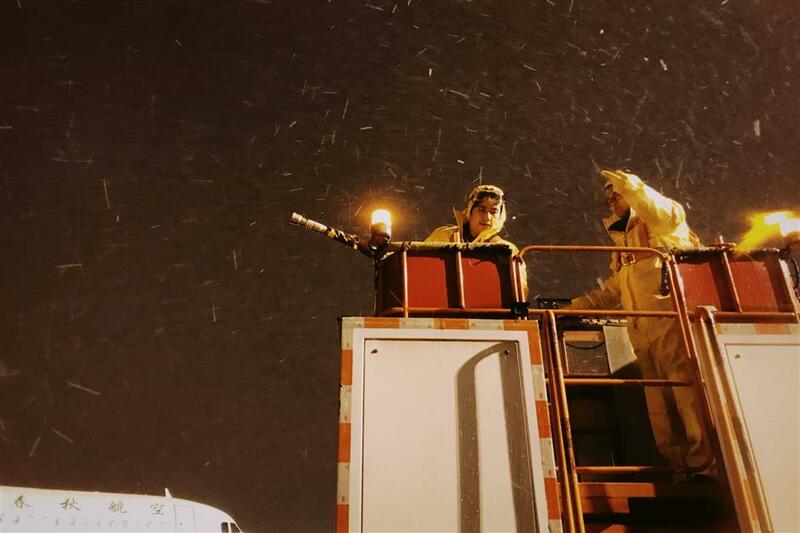 De-icing agent was needed to be sprayed on aircraft that berthed overnight at both of the city's international airports in the early morning. Speed limits were also imposed on some local highways to ensure safety. The icing alert was removed at 10:32am after the snowfall stopped. However, the snow is expected to make a comeback on Friday evening and will mainly sweep western parts of the city. The accumulated snow will reach 5 centimeters in thickness and the roads will become slippery again. Another round of sleet and snowfall is forecast for Saturday night and Sunday, according to the bureau. The temperature will drop to a low of 3 degrees Celsius over the weekend. The wide range of icy and snowy weather, which is hitting the whole Yangtze Delta Region, coincides with the peak period for returning travelers. They are reminded to closely follow the latest weather forecasts to avoid being disrupted on their way back. 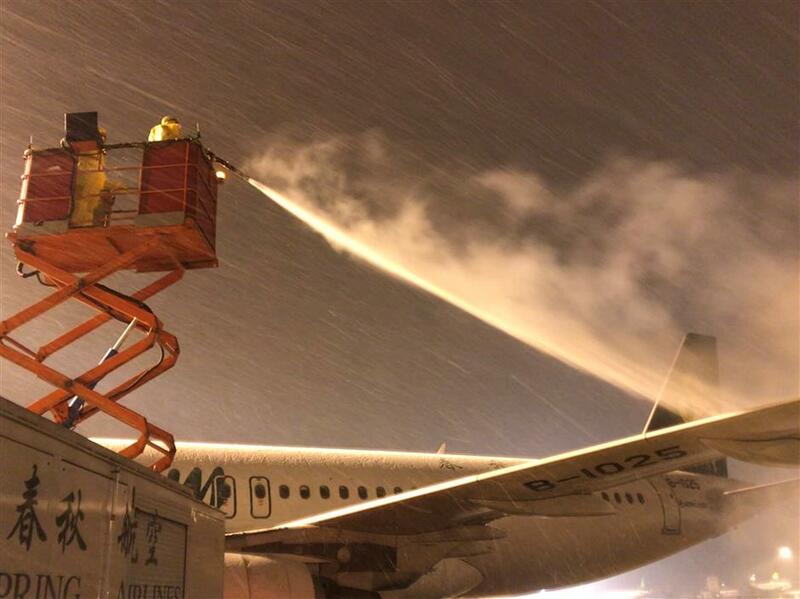 Staff with Spring Airlines spray de-icing agent on a berthed aircraft at Hongqiao airport early Friday morning. 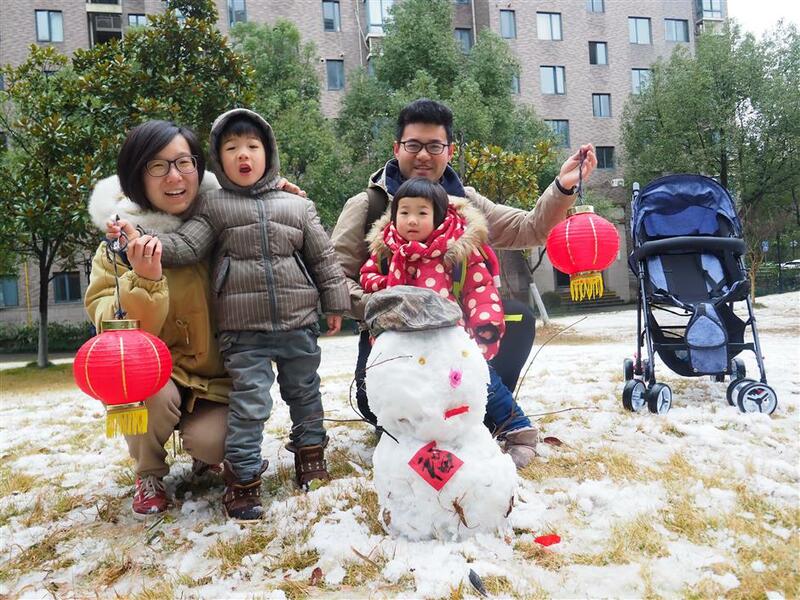 Residents in the Pudong New Area make a snowman after the first snow of the Chinese Lunar New Year.